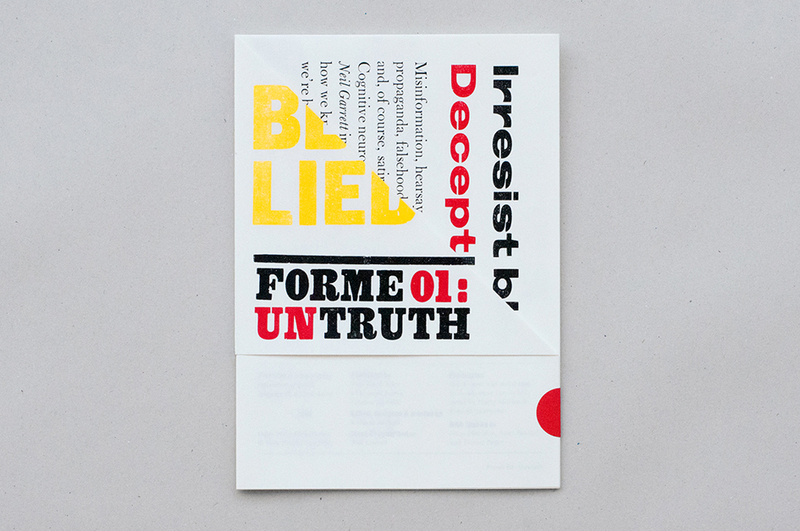 ntruth is the subject of the first issue of Forme, a new letterpress publication, typographically exploring science’s explanations of the world around us by committing ink to paper. 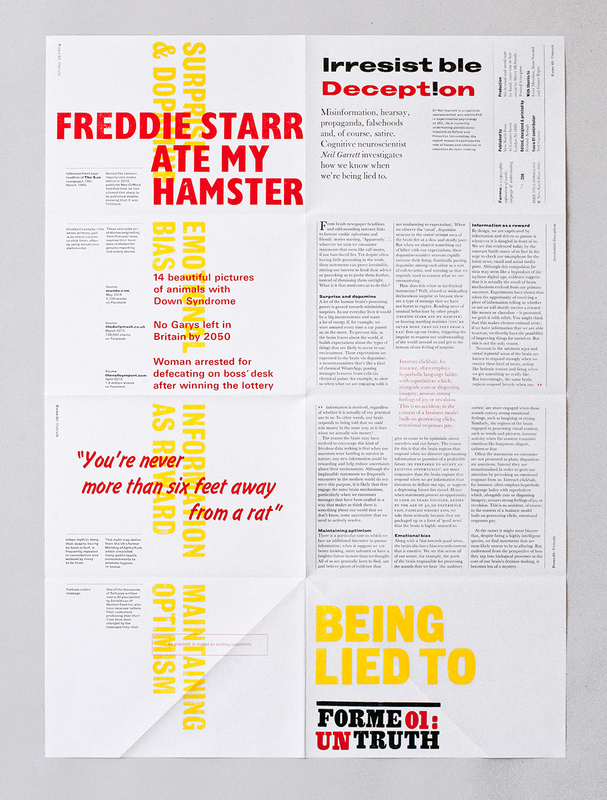 Forme looks at how we navigate a world riddled with misinformation and fake news and as proof comes a commissioned feature from renowned cognitive neuroscientist Neil Garrett. Garrett who is currently conducting research at Oxford University and at Princeton University is a scientist who explores "how valence – whether a piece of news is good or bad – influences the extent to which information is integrated and used to revise beliefs about ourself, our future and the future of those around us". In his Forme feature Garrett reveals how our brains react to messages we suspect to be false and what motivates us to investigate further, even when we know we’re being lied to. This is accompanied by examples of sensational newspaper headlines, absurd clickbait, tenuous urban myths and ambiguous fortune cookie messages, all with captions that expose their inaccuracies. 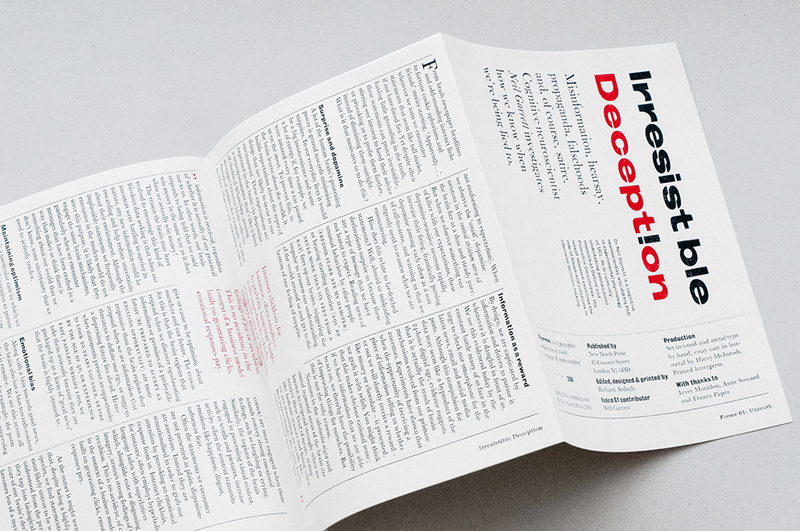 The pamphlet, which can also be displayed as a poster when unfolded, has been printed from hand-set and hot-metal type. 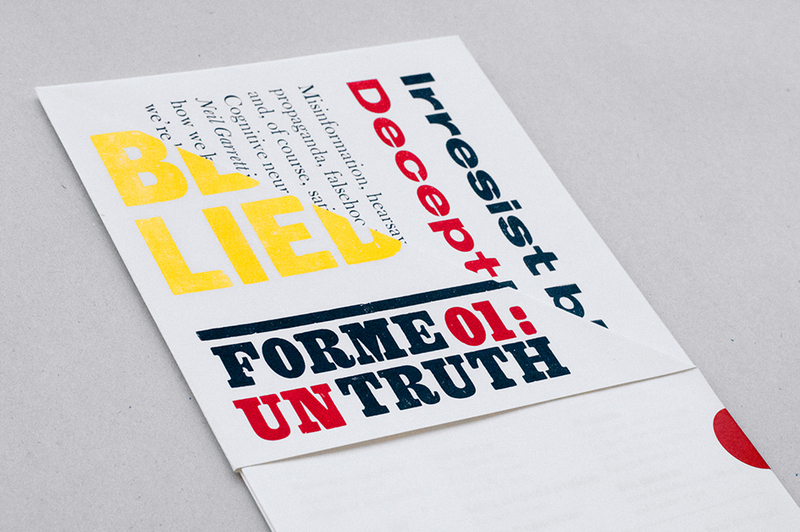 Printed letterpress, Forme refers to the locked-up arrangement of type inside a chase for printing. As a piece of independent editorial design, Forme aims to showcase scientific content in an engaging way, and in a format that will be treasured. 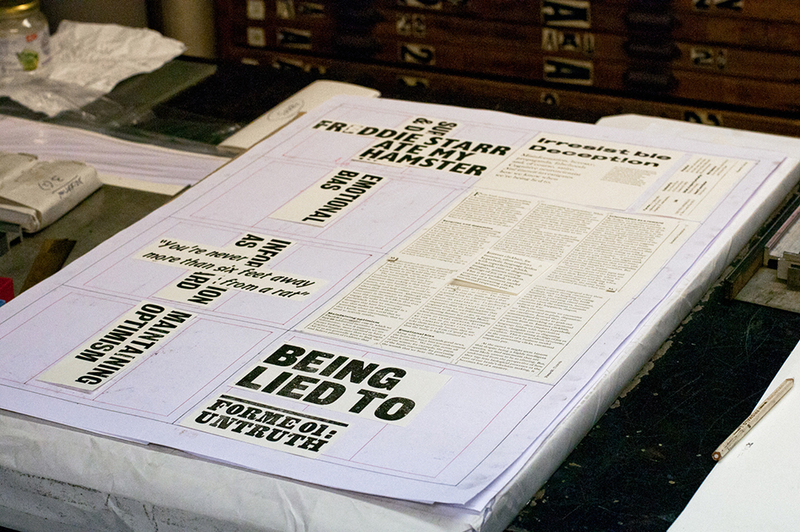 Established in 1986, New North Press was founded in New North Road, East London. 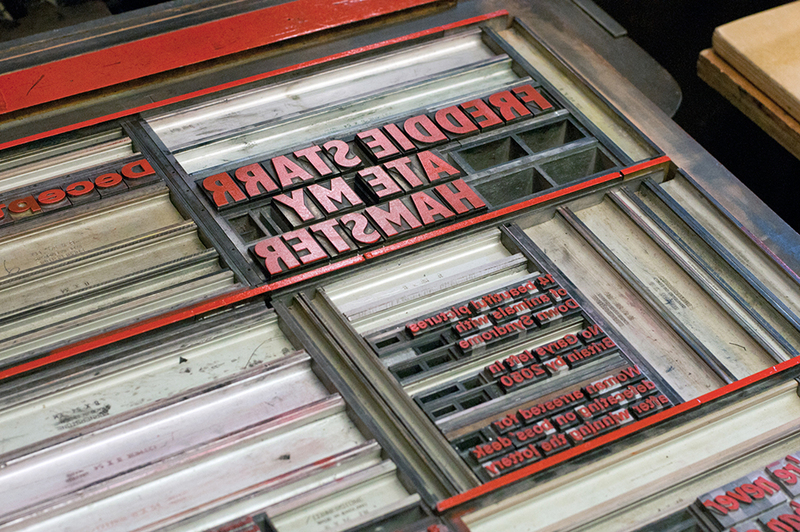 New North Press practices the craft of traditional printing, in the form it took for over 500 years. "Our studio is an Aladdin’s cave of traditional printing equipment and has been used as a location for films and documentaries. But it is a working space, not a museum, and we are proud to keep our library of wood and metal fonts and cast-iron presses alive through use. 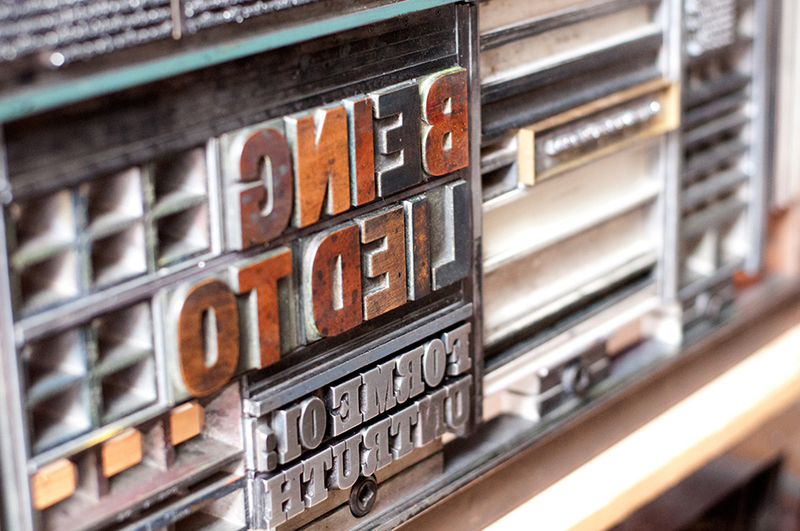 We are not a ‘private press’ and actively seek to collaborate on projects with companies and individuals, as well as sharing our facilities and knowledge of letterpress through regular teaching" notes NNP. New North Press was founded by Graham Bignell and the partnership now includes Beatrice Bless and Richard Ardagh. Graham has had over 40 years printing experience. Since 1973 he has editioned prints for the likes of Edward Bawden, Philip Sutton and Rupert Shepherd, and artists’ books such as Hamish Fulton’s No Talking for Seven Days, Ana Maria Pacheco’s Gargantua and Pantagruel and Mandy Bonnell’s Lamu. He has been an external letterpress tutor for Chelsea College of Art since 2002 and also runs a paper conservation studio. Beatrice became an invaluable part of the team during preparations for our Reverting to Type exhibition in 2010. She has taught letterpress at Camberwell College and is an experienced children’s teacher having worked at Steiner schools. Her recent In Your Hands courses teaching local children craft skills have proved very popular. 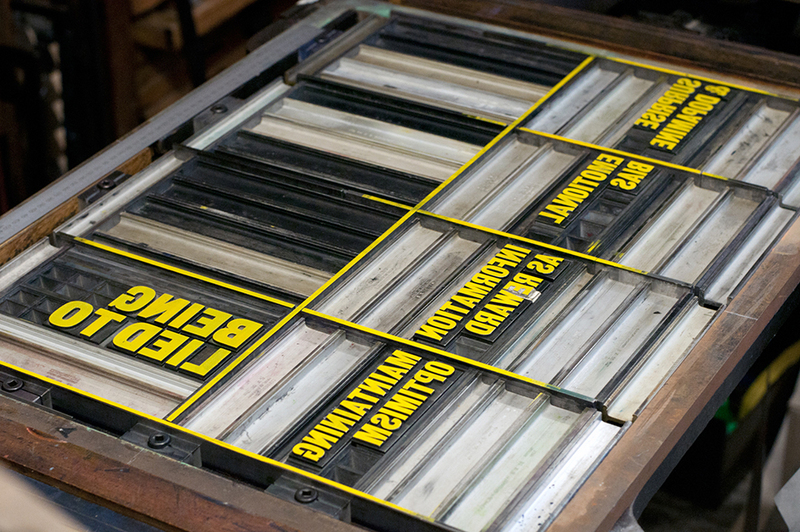 Richard has been working with letterpress since 2006. 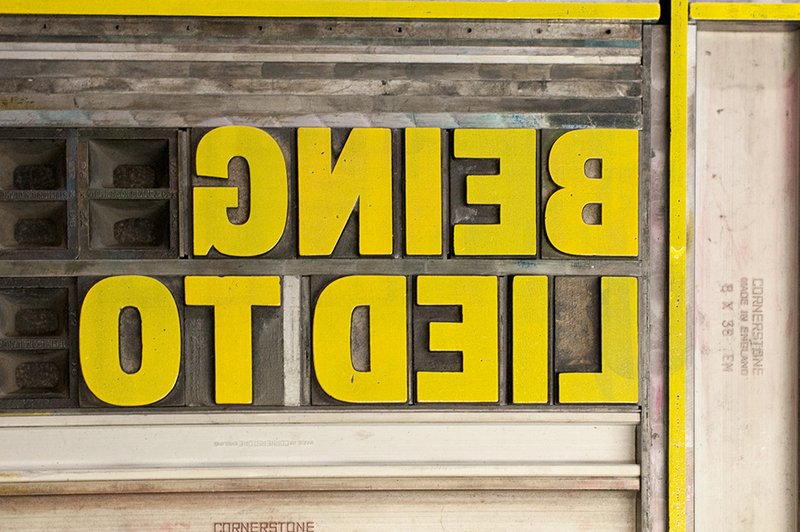 In 2014 he commissioned A23D, a prototype 3D-printed letterpress font. 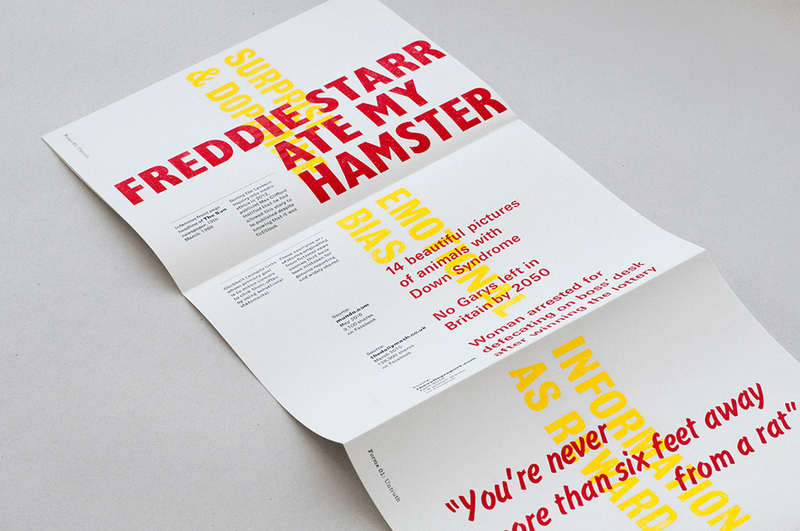 He has taught at Central St Martins and also runs a graphic design practice.